With over 20 years of experience, Janet founded Peak Performers 18 years ago and has spent her career serving customers and motivating customer service teams to consistently “raise the bar” toward service improvement. As a former customer service manager, Janet has re-structured and groomed customer service teams in assorted industries: banking, recreation, manufacturing, and distribution. Janet’s practical hands-on experience, coupled with her dynamic presentation skills, instantly raise the audience’s awareness for superior service and best leadership practices. She readily shares her observations and experiences of service, leadership and management along with her successes and failures. Participants and attendees automatically sense her passion and enthusiasm for all aspects of customer service and leadership. Janet served Junior Achievement of Rhode Island as a volunteer Project Business Consultant, instructing Junior High students in business economics for a number of years. In addition, she presented at the “Leadership 2000 Conference” at Providence College; her topic was “Situational Leadership”. Other speaking engagements include the American Society for Quality, the Association of Information Technology Professionals, the American Marketing Association, the Human Resources Association of Attleboro, the Center for Women and Enterprise, Human Resources Management of Rhode Island, The Foremen’s Club, HarborOne U, the Crossroads Chapter of IAAP, RINOD, (Rhode Island Open Doors), the Attleboro Rotary Club, as well as other professional organizations. Janet is currently a Practitioner Faculty member of Marketing at Providence College, where she has served the school for over 6 years. In the spring of 2013, Providence College School of Business recognized and granted her an Innovation in Teaching award. Between 2000 and 2017, she served as an adjunct faculty member at Rhode Island, Roger Williams University & Bridgewater State teaching marketing and management. She is a Bryant University graduate, holding both bachelor and graduate degrees in business administration with a concentration in marketing. Janet is a leadership trainer and facilitator for Rhode Island College and is a Certified Professional Behavioral Analyst with Target Training International. She served as a customer service instructor at Rhode Island College Outreach, where she trained adults in transition to earn their customer service certification. Janet was a long-time member of International Customer Service Association and served as president of the Customer Service Society of Southeastern New England. 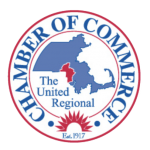 As a former ambassador for over 8 years, she remains a long-standing member of the United Regional Chamber of Commerce, and a volunteer for the Literacy Center in Attleboro. Janet served as a co-chair for the Greater Attleboro Area Relay for Life in 2004. Currently, as a Central Board Member for the Fall River Diocese of Catholic Schools, she also Co-Chairs the Enrollment and Marketing Committee.